Henna is a beautiful art form that has been used throughout time to decorate women's bodies, most often during celebrations. Traditionally henna was used by many African, Asian and Middle Eastern cultures, but is now popular in much of the world. Henna is also known as, henne, mehndi, mehandi and other various names. Henna is made by mixing dried, finely ground leaves of the henna plant (Lawsonia Inermis) with water, tea or lemon juice and essential oils to form a paste. Depending on what body part the henna is applied to and how well you follow aftercare instructions, natural henna will stain the skin a beautiful reddish-brown to a deep maroon colour and last for 1-3 weeks. Please visit our aftercare page for more information. Jagua comes from an incredible fruit, Genipa Americana, grown in the rainforest. It has been used traditionally by indigenous South Americans for over 2000 years to adorn their bodies. Depending on what body part the jagua is applied to and how well you follow aftercare instructions, jagua will stain the skin a dark bluish-black colour and last for 1-3 weeks. Please visit our aftercare page for more information. Jagua should not be confused with the very dangerous and toxic product referred to as "black henna". Henna and Jagua is a modern day blend of two ancient art forms from two different traditions. Using the two natural ingredients together you can achieve a natural blackish colour. This blend should not be confused with the very dangerous and toxic product referred to as "black henna". The tone of the stain can vary depending on the amount of jagua used. Depending on what body part the paste is applied to and how well you follow aftercare instructions the stain can last for 1-3 weeks. Please visit our aftercare page for more information. Beware of prepackaged henna cones which are laced with chemical preservatives and artificial dyes. 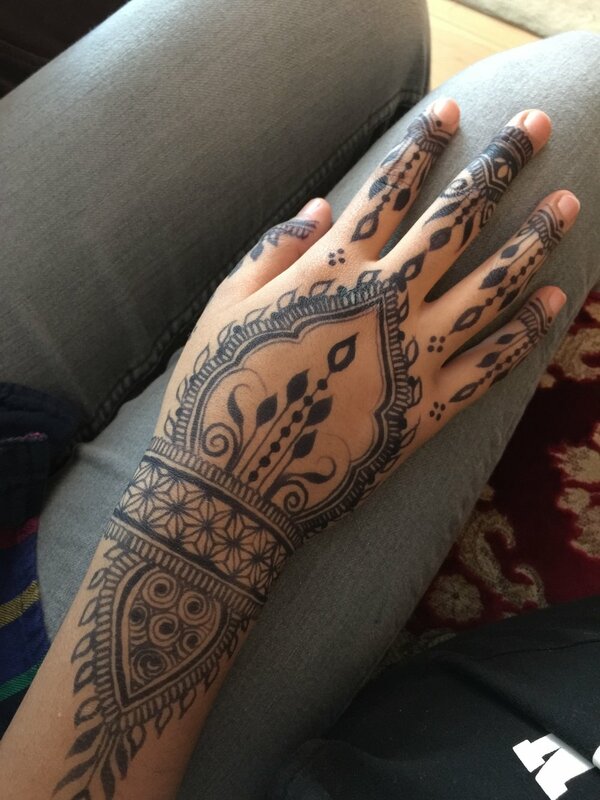 If you are interested in experimenting with henna, seek out a reputable supplier who can provide you with fresh, natural henna paste, or research how to make your own. Avoid anything labeled "black henna", which is not henna at all, but rather contains a dangerous chemical known as "PPD" which is known to cause severe skin burns as well as allergic reactions and other adverse effects.